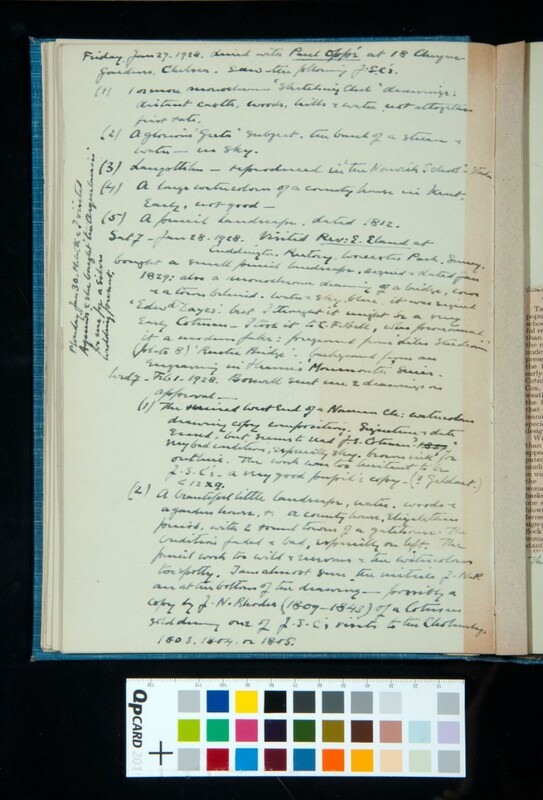 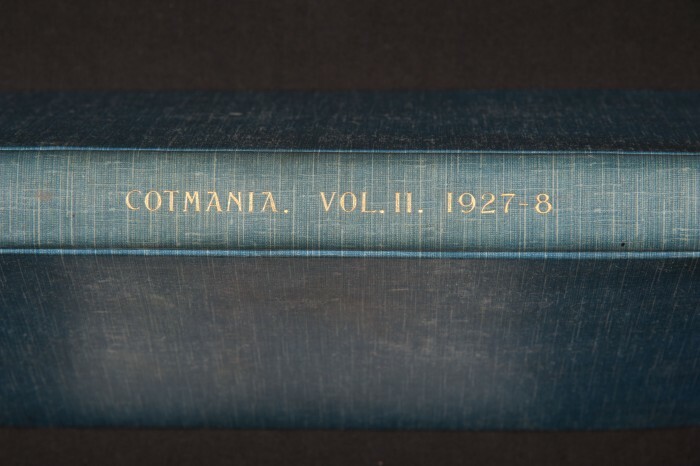 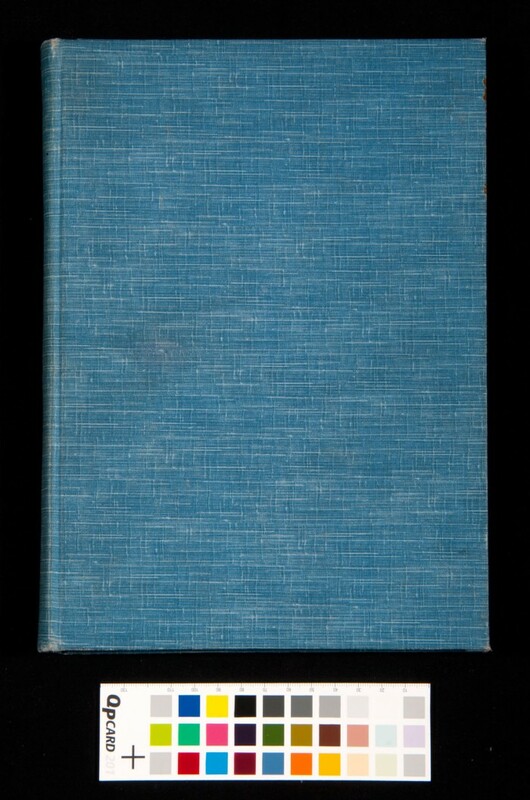 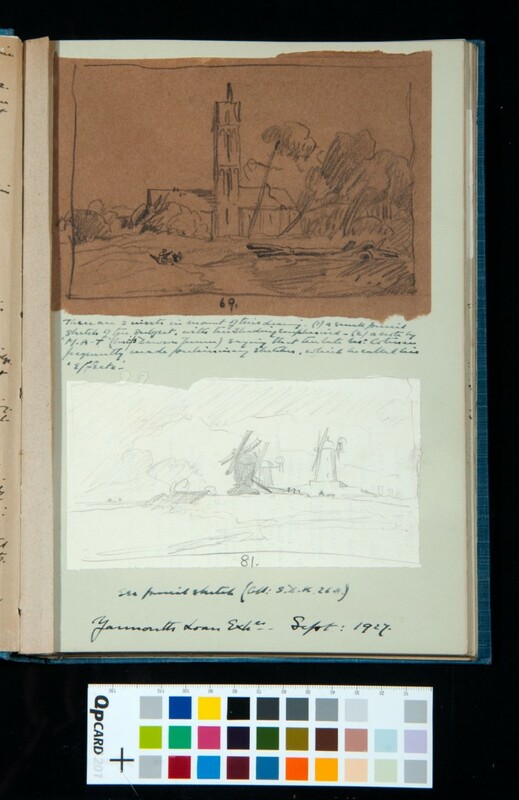 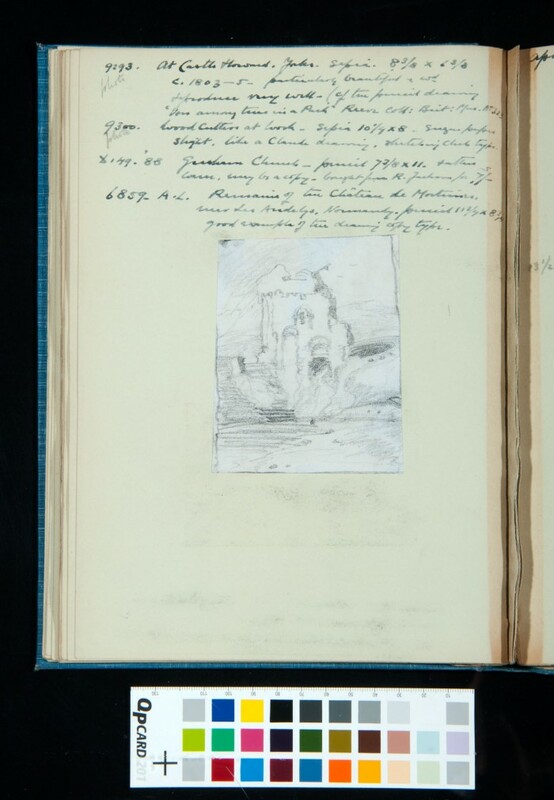 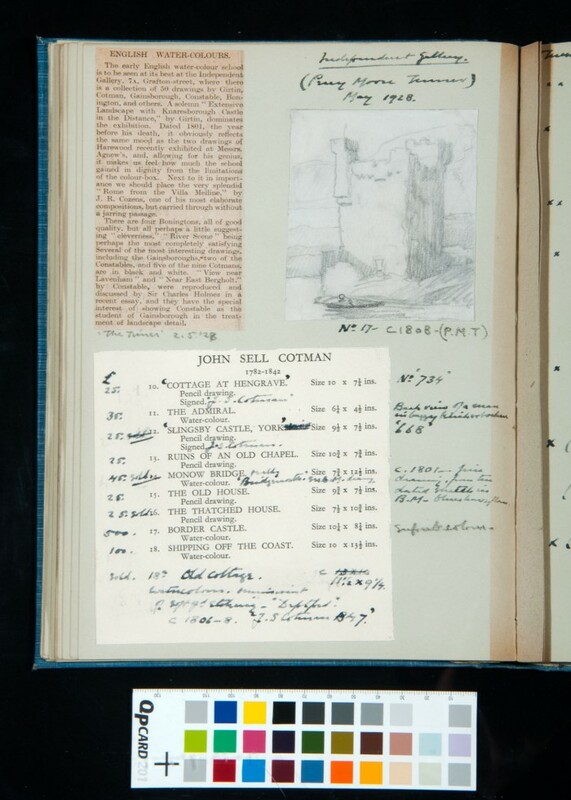 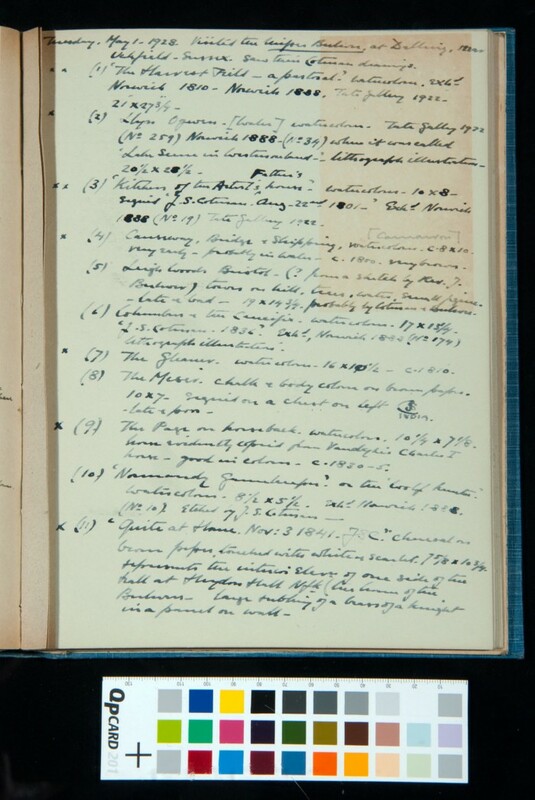 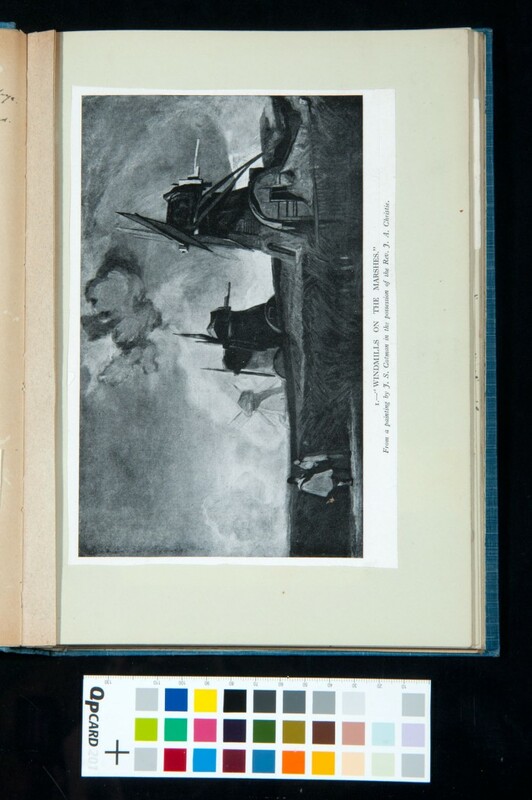 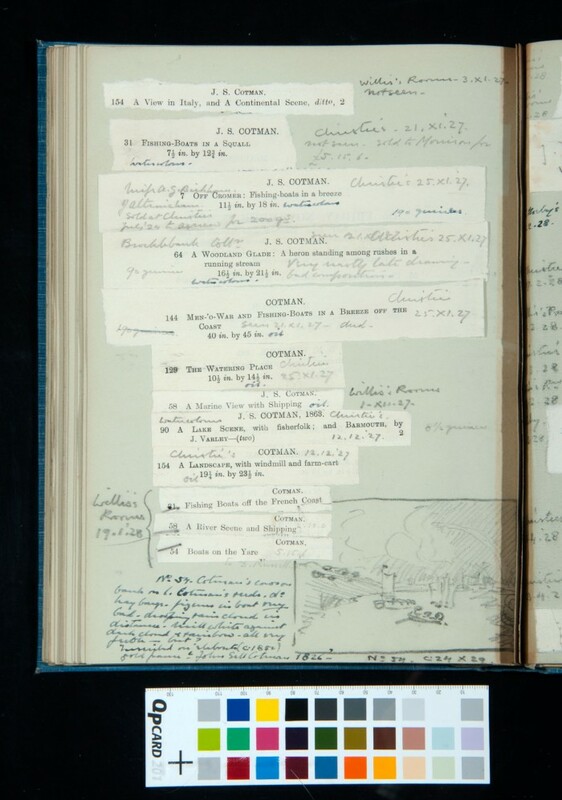 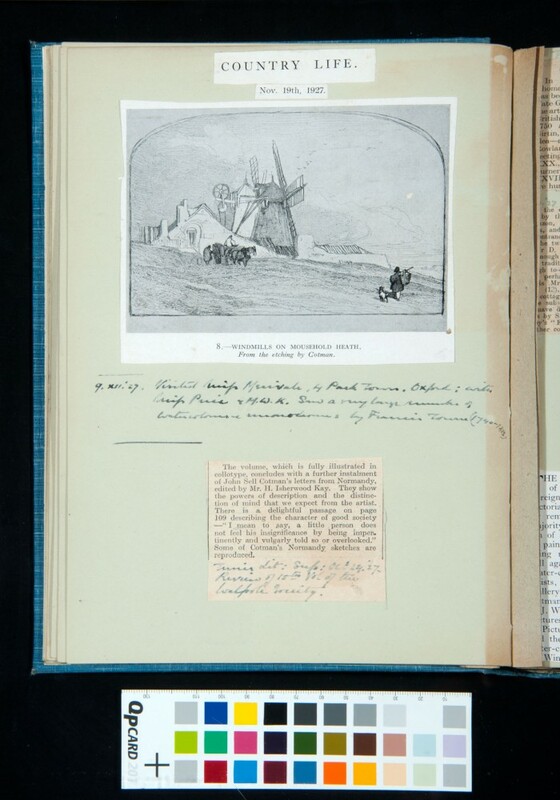 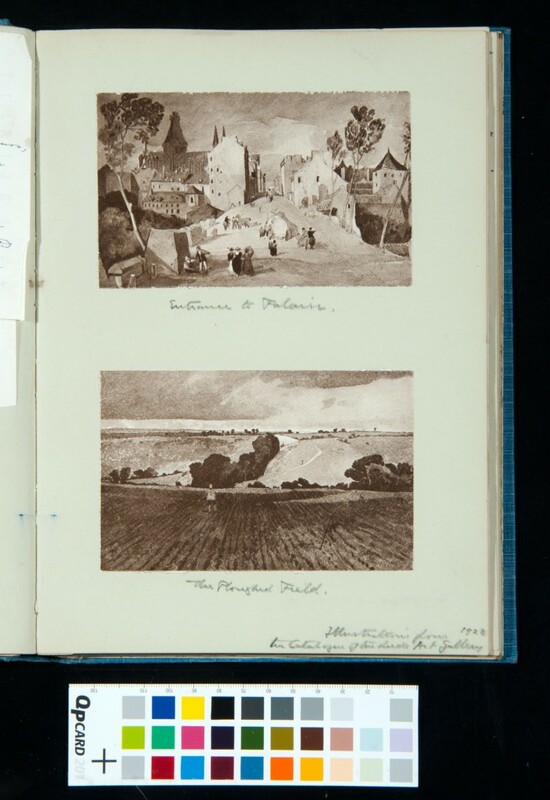 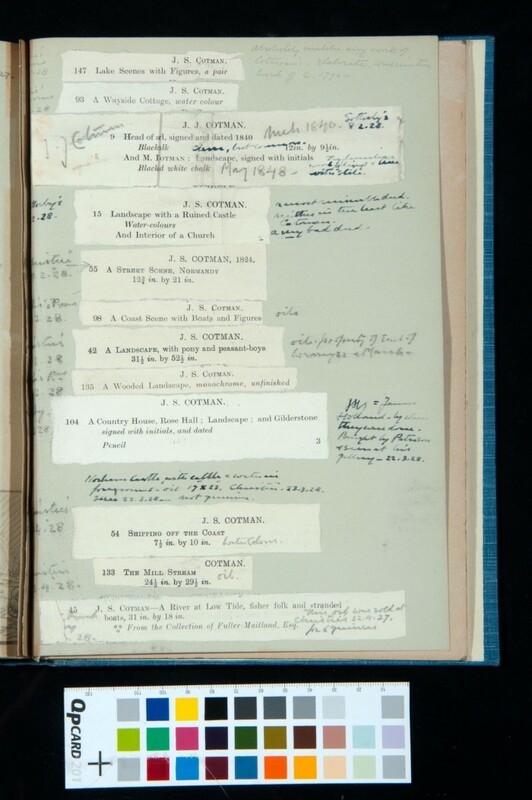 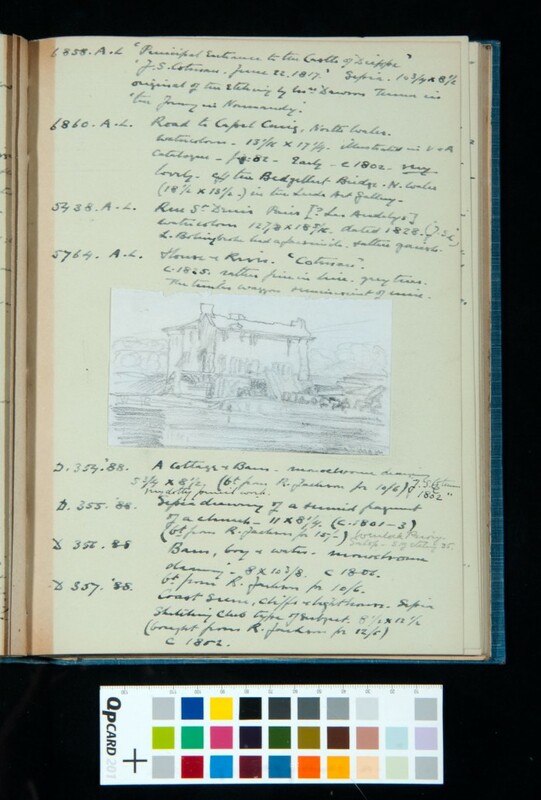 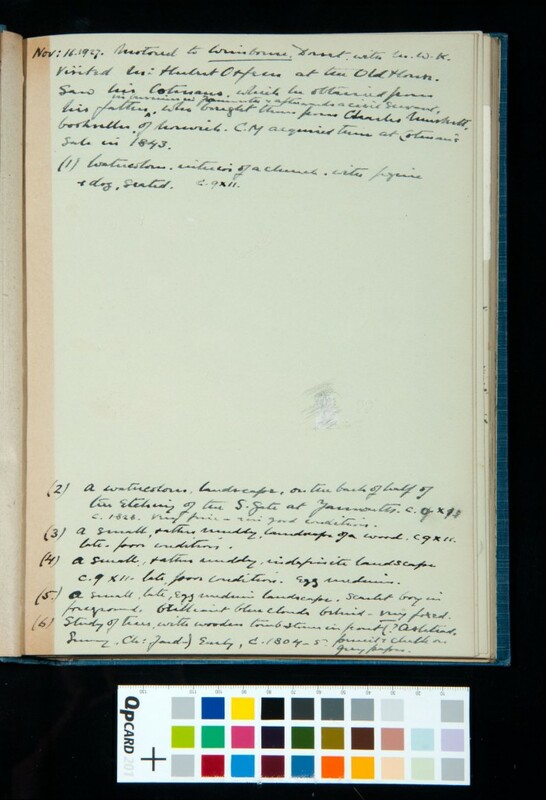 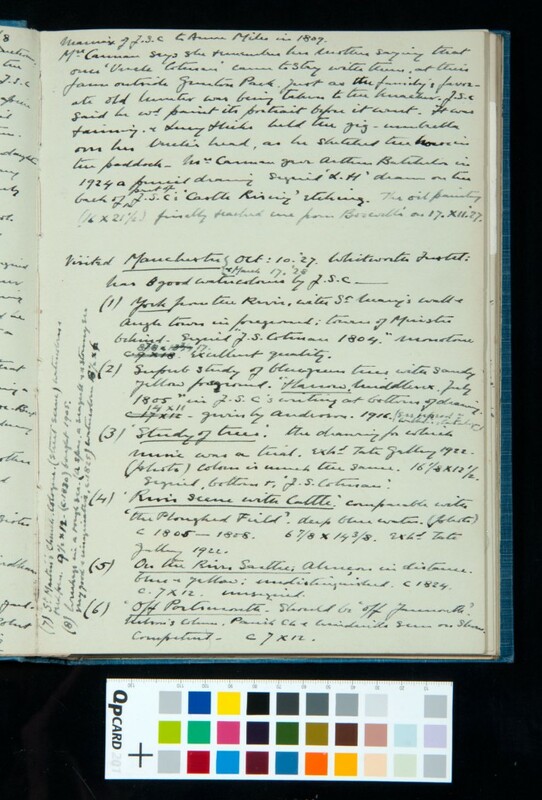 Volume II describes Kitson’s many visits to galleries, salesrooms and private collections in search of works by Cotman. 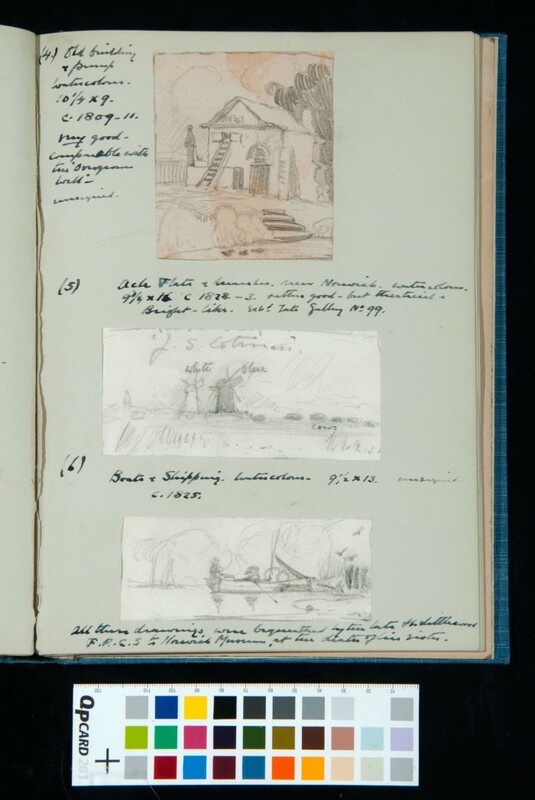 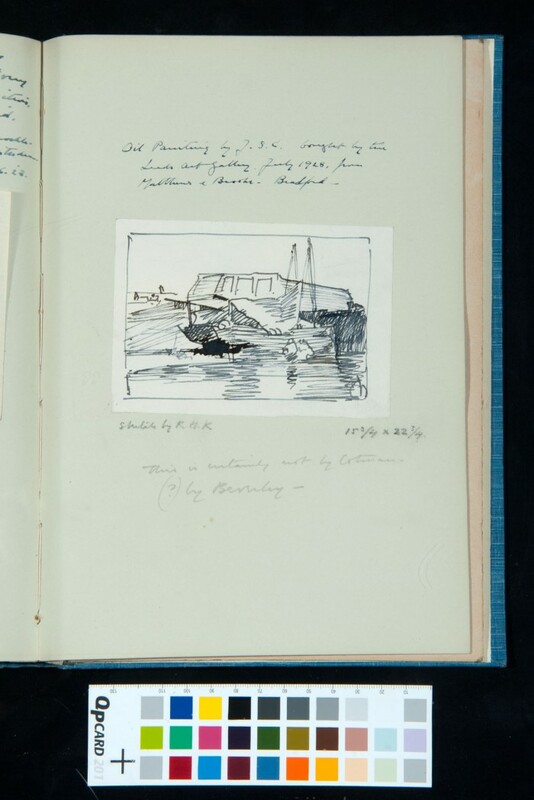 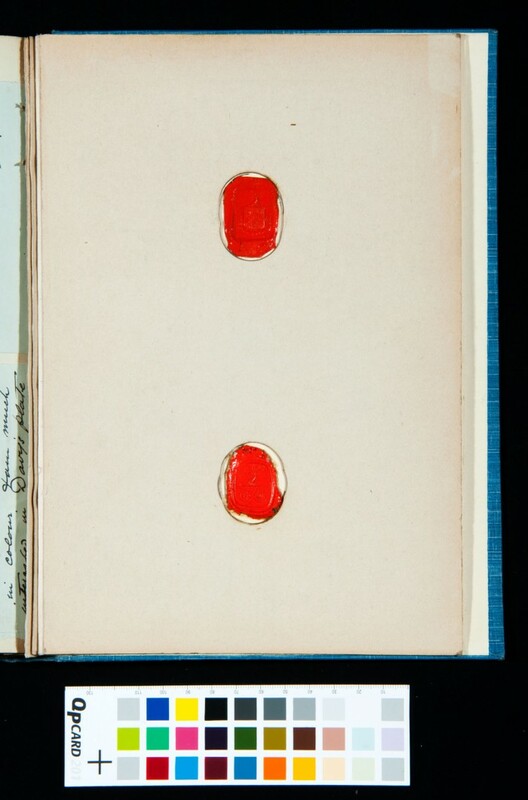 There are detailed descriptions of these works and also numerous sketches made by Kitson himself. 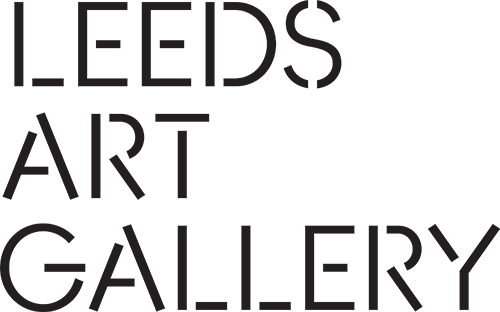 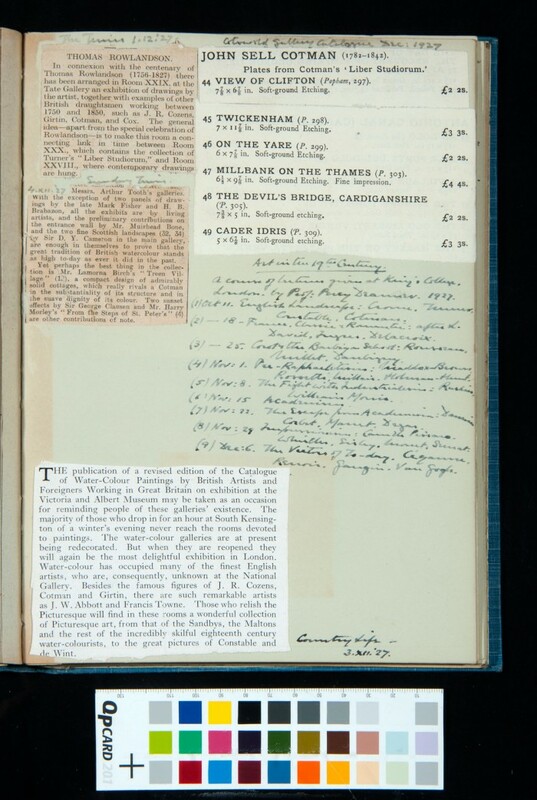 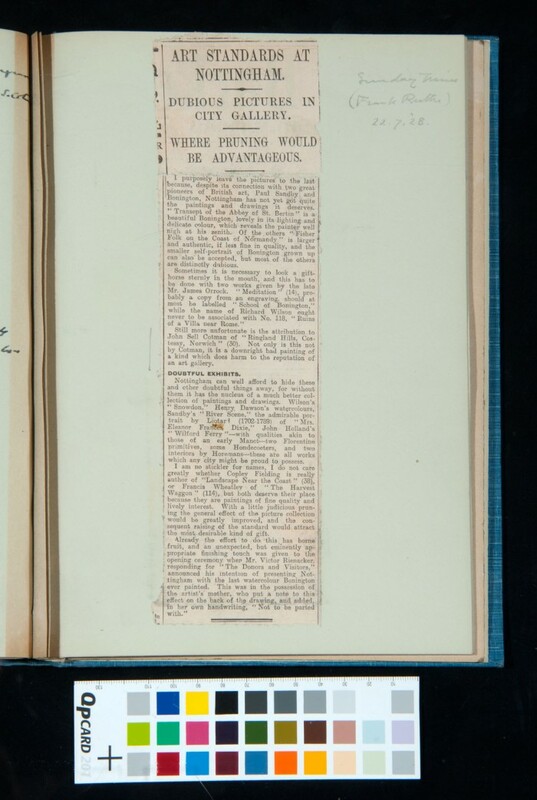 The volume contains cuttings from catalogues, newspapers and magazines, and letters from experts such as A. P. Oppé and Sir Michael Sadler. 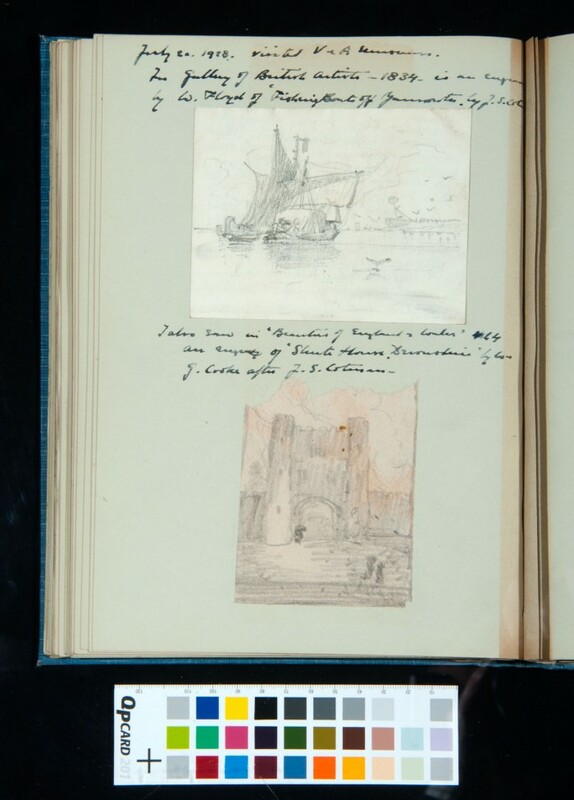 Kitson also writes about his visit to Wales to see the places Cotman drew. 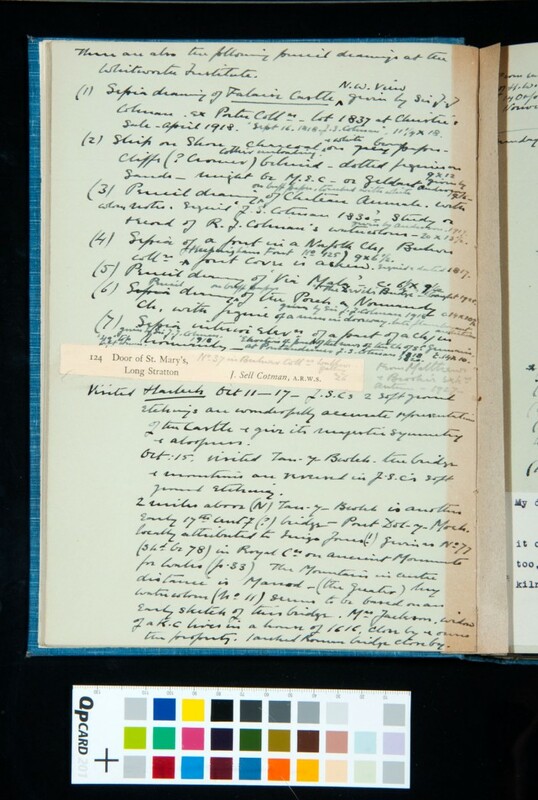 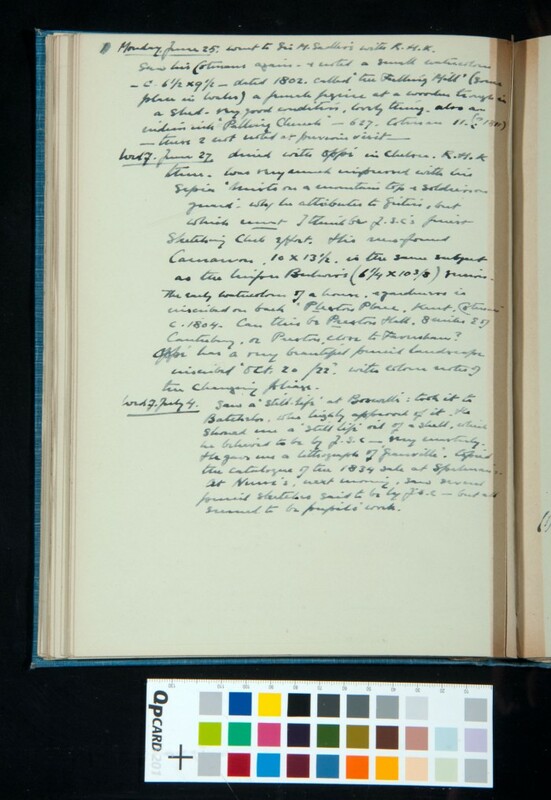 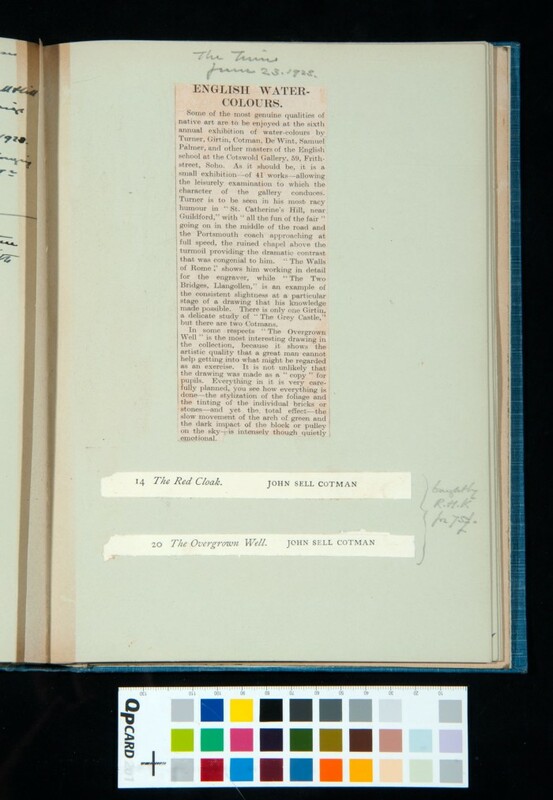 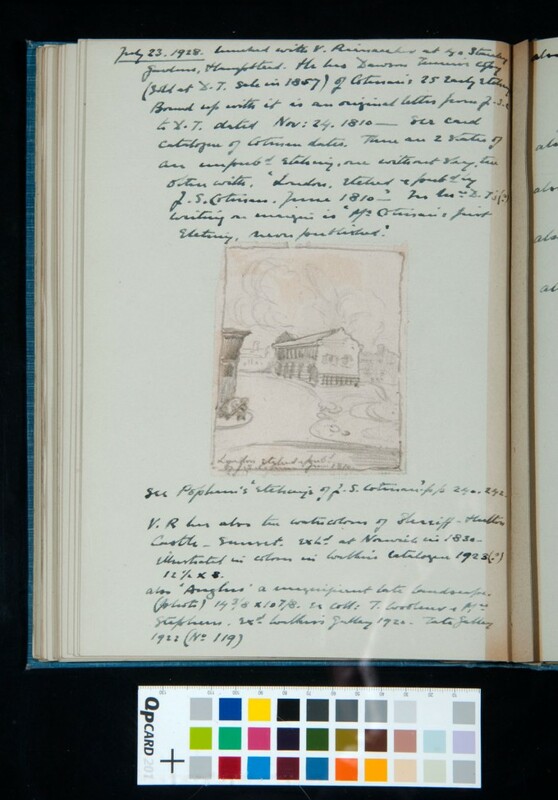 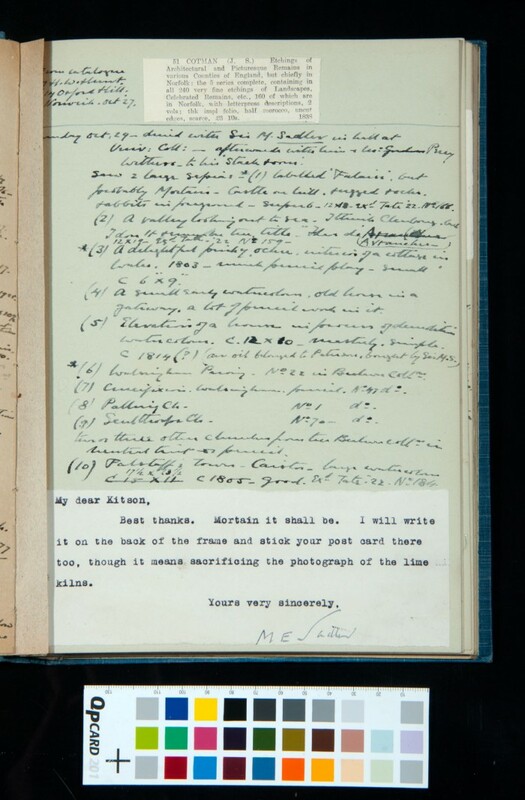 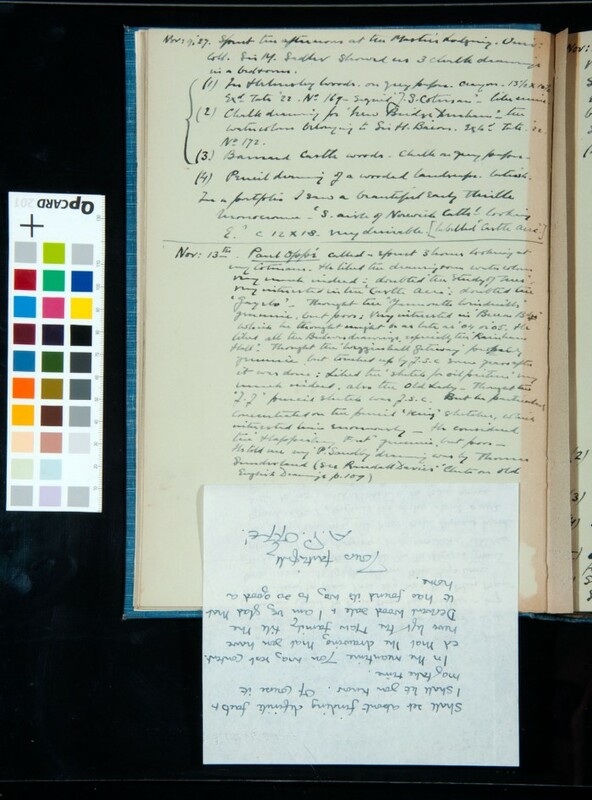 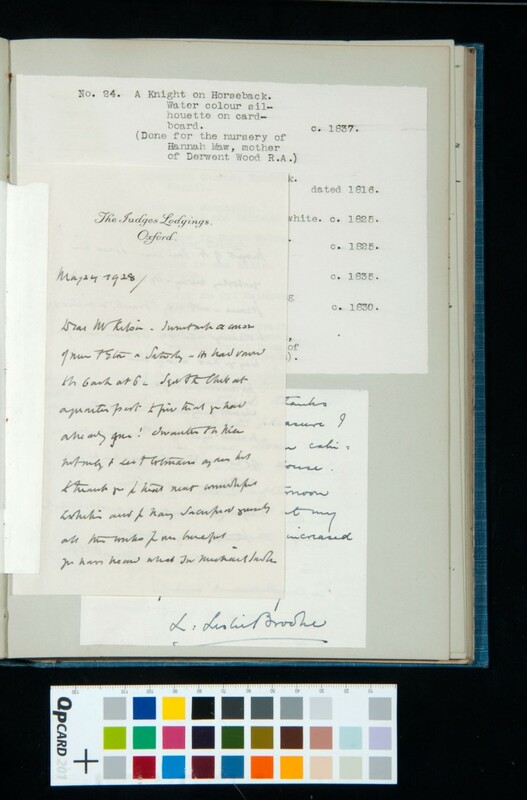 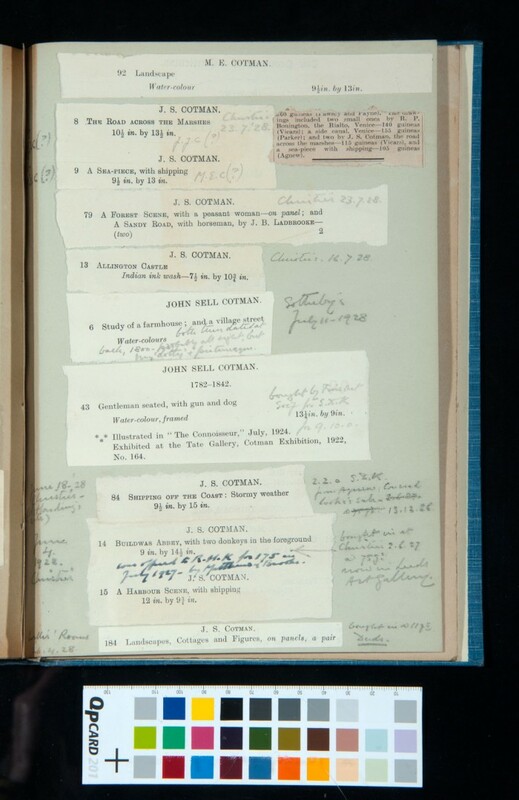 There is the transcription of a letter written by Cotman to the Institute of British Architects in 1837 and information about the exhibition at Oxford Arts Club in April-May 1928 of Kitson’s own Cotman collection. Letter of thanks re Oxford Arts Club Exhibition (?) 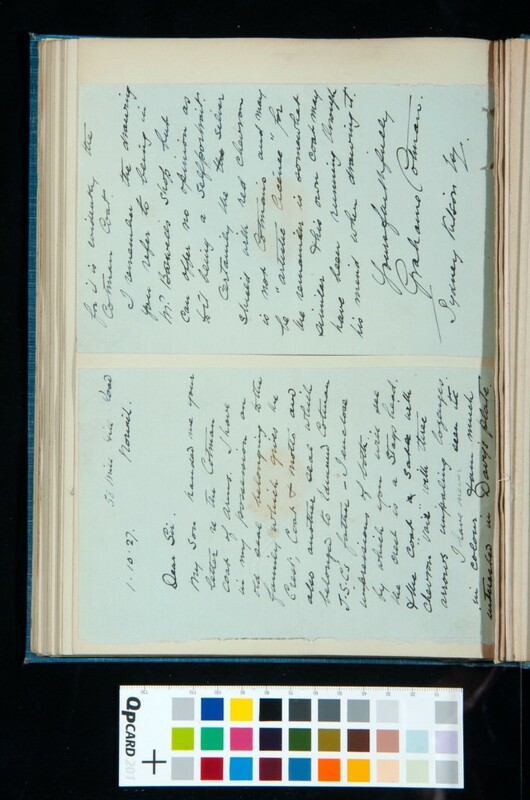 - cont. 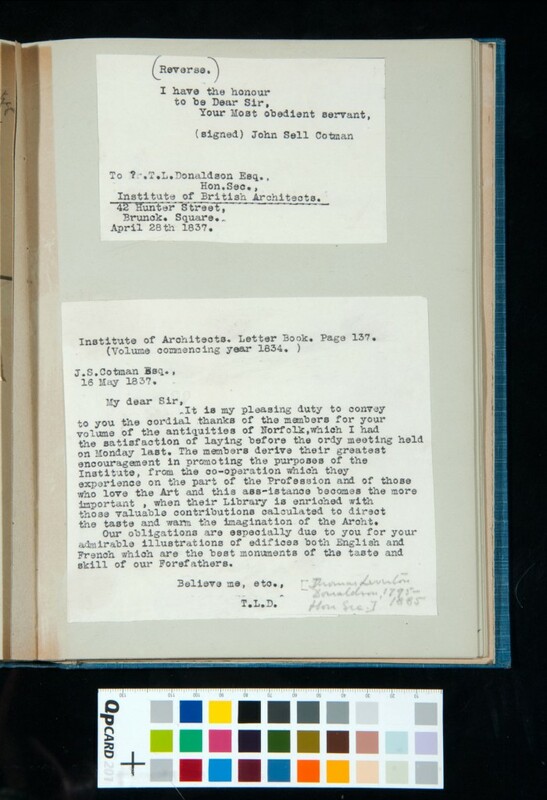 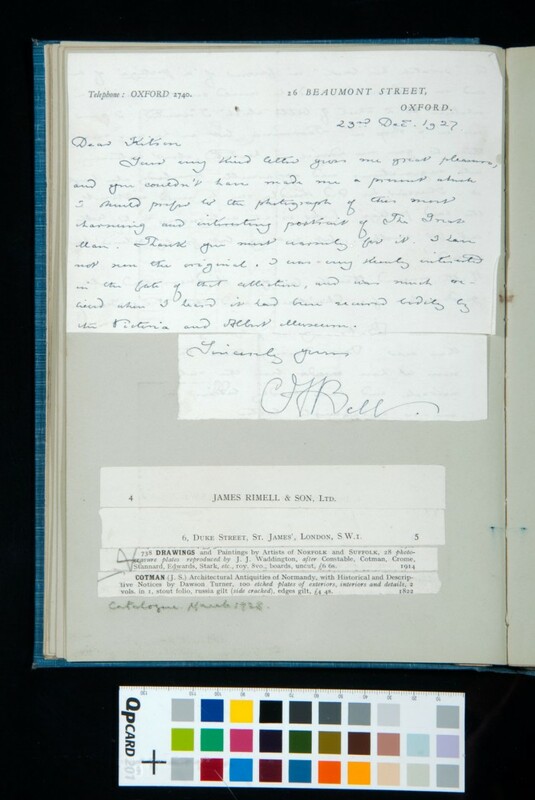 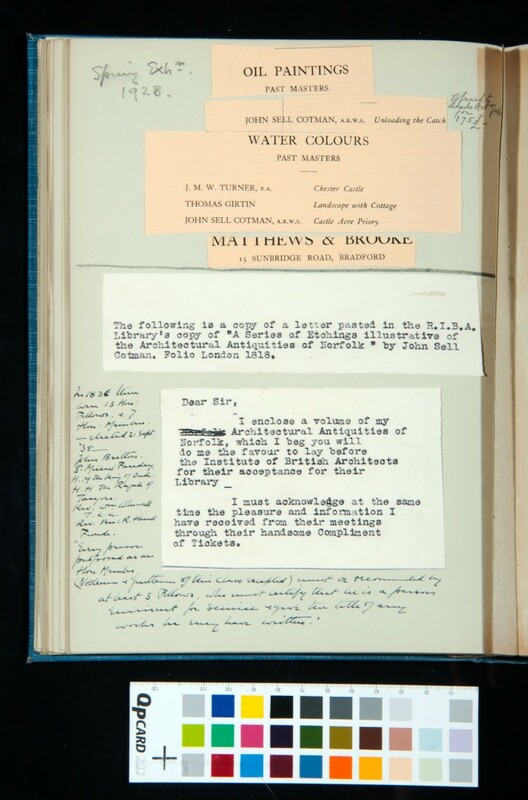 Letter from Cotman to the Institute of British Architects (cont) / Reply from I.B.A.